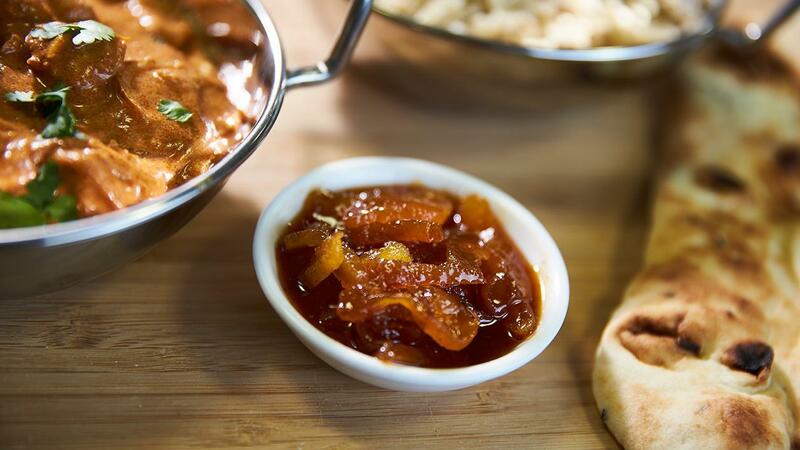 Chef Hacks: use our Butter Chicken Paste and our Ginger Puree to create a spiced apricot chutney that can be used as a dip or as an accompaniment in other dishes. Put the white wine vinegar and caster sugar into a suitable pan and reduce until it is a syrup consistency. Add in the Knorr Professiol Ginger Puree and the Patak's Butter Chicken Paste and boil for 1 min. Then add in the sliced apricots and mix through. Add the water and boil to incorporate. Remove from the heat andallow to infuse at room temperature for an hour then serve.